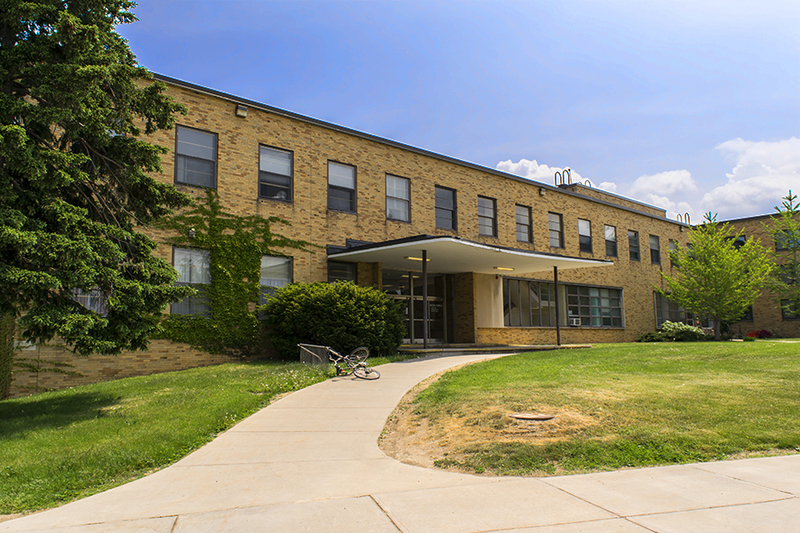 The Mackin Complex is consists of two residence halls and one dining hall. Mackin Dining Hall is housed between the residence halls, with Lonis to the north and Moreland to the south. Two factors setting Mackin apart from other dining halls around campus are its years of service and weekly schedule. In addition to being the oldest dining hall, Mackin Dining Hall is open exclusively Monday through thursday, 3 - 7 p.m. Opened in 1951, Mackin took the name of Marion Mackin, who served Oswego’s branch of the Red Cross as executive secretary during World War II.